The Wiley Brothers Ramsay belt uses a large, high quality solid brass English-made harness buckle, shaped and contoured into a rosette. 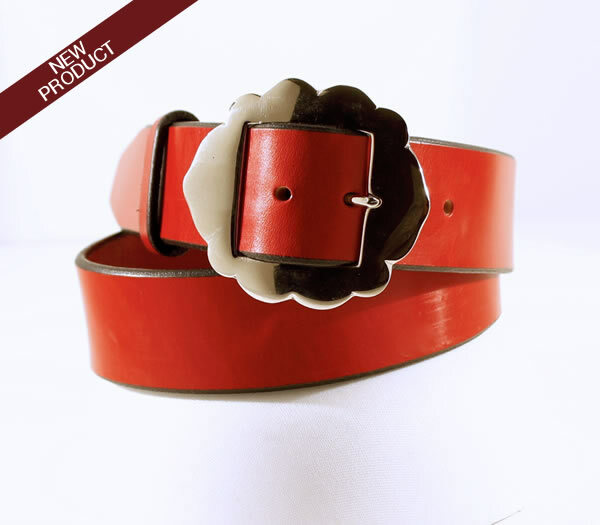 This stylish belt is 1 ½" wide. The finished belt is meticulously handmade and polished in our workshop.